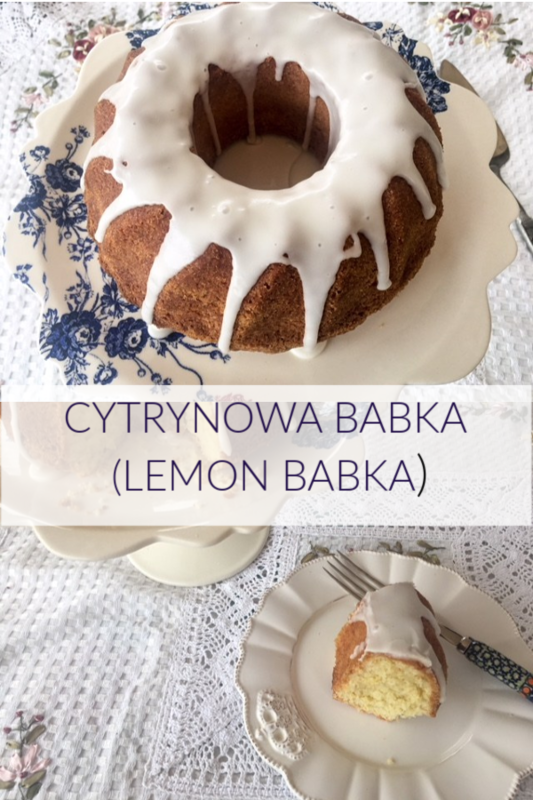 Cytrynowa Babka (Lemon Babka) is a wonderful accompaniment to tea or a bright lemony treat to serve for Easter. I’ve been wanting to make one ever since our friend, Symon, said Cytrynowa Babka (pronunciation) was his favorite. Many babkas are a yeast bread sort of cake. This one reminds me of a pound cake. 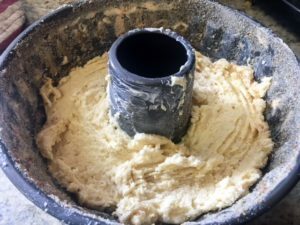 The leavening comes from beaten eggs and baking powder, and it’s made with equal weights of butter, sugar, and flour. I’ve tried a traditionally Polish method for preparing the bundt pan — buttering the pan and then coating with bread crumbs (unseasoned, of course). 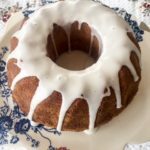 It adds a wee bit of texture to the crust, but I’ve never had a bundt cake release so well, the finish is perfect. The links below are Amazon affiliate links, which means if you make a purchase they send me a few cents which helps to support this site, thanks! 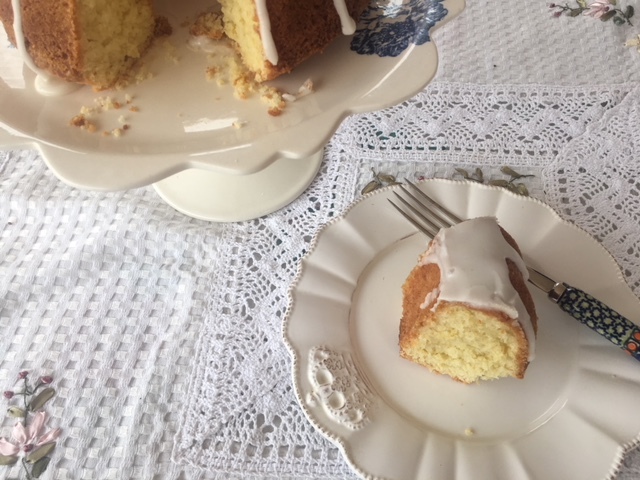 This wonderful moist cake comes from Ciasto.net, a Polish website for homebaked goods. 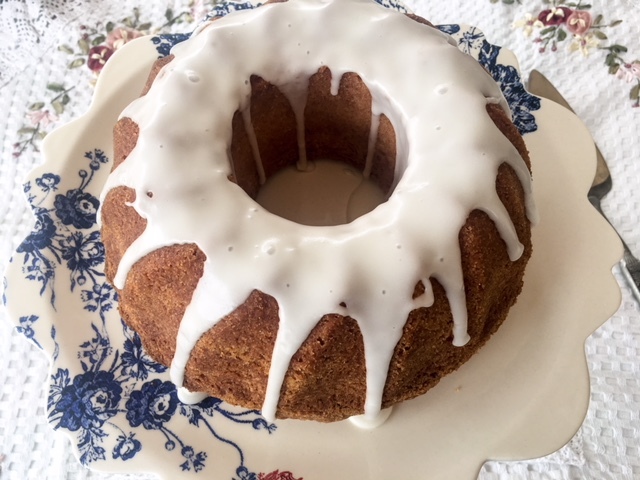 The butter and breadcrumbs worked better than anything else I’ve tried for gettig a bundt pan to release the cake unscathed. Will be making for Easter! Was looking for something just like this! Enjoy, Claudia! I’m finding it rather addictive! Looks like a wonderful recipe which I am saving for future use. Just bought a babka at a local Polish deli. Very good. Might be along the lines of the recipe above. I remember my Mom buying rum babkas at the bakeries here in the Chicago area. They seemed to be a bit lighter in texture. Guess there are many versions of babka! I’m going to make this for Easter Sunday, but I’m going to substitute the butter for coconut oil as my boyfriend can’t eat dairy. I’m sure it will be enjoyed! Sounds like a great plan, Helen; enjoy! I have never been a fan of the yeast babkas that I have come across. However, this lemonade version has me salivating! Looks like a perfect teatime treat or evening dessert. Thanks, David! We’re planting a Meyer lemon, so I see more of these in our future!